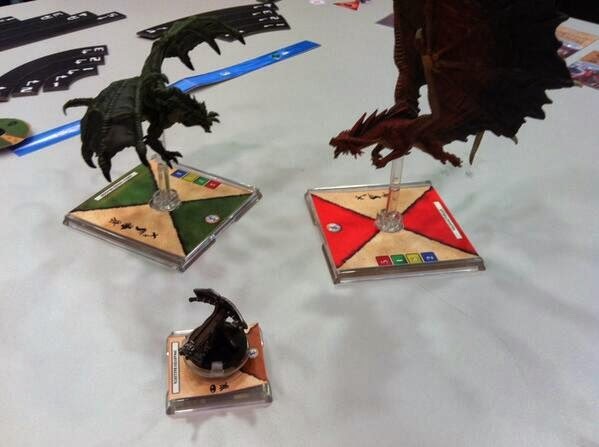 Update: Some images from the GAMA trade show have surface. I jokingly mentioned on twitter a few weeks back that the next thing for the ‘attack wing system’ was a version of Games Workshop’s Battlefleet Gothic. I didn’t realise how unimaginative I was as the latest version of dog fighting game announced by Wizkids will be based on Dragons. 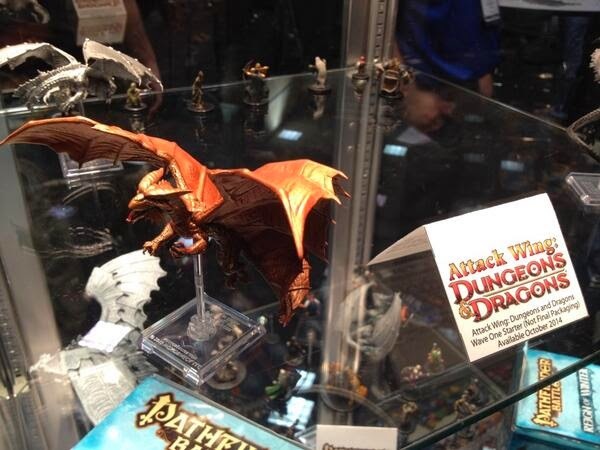 In an announcement made during a Reddit AMA (ask me anything) Wizkids revealed a partnership with Wizards of the Coast to release a line of miniatures, but hidden amongst the conversations was the announcement of a Dungeons and Dragons Attack Wing. Originally based on World War I dog fighting, in Wings of Glory, the system has developed into World War II, age of sail battleships, Star Wars X-Wings and Wizkid’s own Star Trek Attack Wing. The question is how this game will differ from those that came out before. Hopefully we’ll be looking at breath based weaponry, spells, and different dragon riders. If the characters are linked to Dragonlance then I can see this being a great success. The main thrust of the deal is the release of a line of pre-painted miniatures for use in your Dungeons and Dragons games. Wizkids have hinted that this will involve miniatures for many much-loved characters but who these are we don’t currently know. I’ll bet good money that Drizzt will be amongst them.